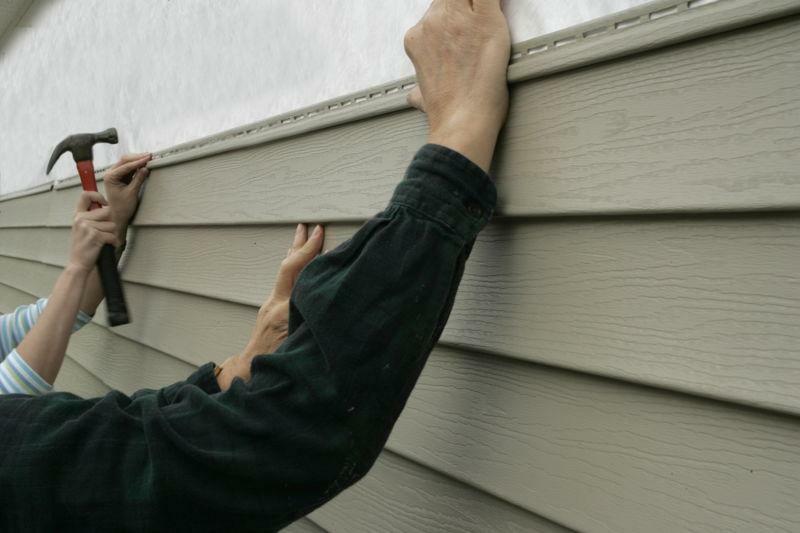 When is it best to paint or replace your siding in Clackamas? When it comes to your home, there’s a lot that you’d do to make sure that it looks its best. And rightfully so. After all, your home is perhaps the most visible symbol of who you are. Over time, the look of your home exterior can start to fade. When this happens, should you repaint or replace the siding? EvoSiding is one of the most trusted teams when it comes to siding in Clackamas. Keep reading to discover our recommendations. The time to repaint depends on how long the color lasts, versus how long the siding lasts. Here’s a roundup of how they hold up. Wood Siding: Many brands of commercial exterior paint last for around five to seven years on a wood surface, for instance, but wood siding is good for 20 years or more with proper care. Aluminum Siding: Aluminum siding can last for up to 40 years. The paint job can last anywhere from five to 10 years or up to 15 in ideal circumstances. Vinyl Siding: Vinyl siding lasts for between 20 and 40 years. The color that it came with starts to fade well before that if it’s exposed to a lot of sun. Painting vinyl is possible, but it’s not very easy. Hardiplank Siding: Hardiplank is a cement fiber siding that comes with a 50-year guarantee. The topcoat of paint can last for up to 15 years. So the question of whether to paint or replace your siding in Clackamas comes down to the expected lifespan of your siding or paint. If the color is fading and you’re near the end of the siding’s life, it’s probably best to just save yourself the work and get it replaced. When your siding is relatively new, go ahead and paint it. There are exceptions to every rule. While you generally consider the expected lifespan of either the top coat or the material, you need to make sure of a few things first. Damage: You should regularly inspect your siding for damage. Damaged wood or vinyl siding might warp or peel away from the house. Aluminum siding is vulnerable to chipping or denting. If you have this sort of damage, don’t worry about painting; opt for a replacement instead. Sun and Weather: Think about the area where you live. Excessively sunny days cause paint to fade, vastly reducing the length of time that its color stays beautiful. Areas that see a lot of rain tend to have siding that doesn’t last as long. Energy Efficiency: If you discover that your current siding isn’t rated for high energy efficiency, go ahead and get it replaced. This saves you money on your heating and cooling bills in the long run. You can get your siding installed in a color of your choice at the same time. Prime: It doesn’t matter if you’re going to paint over an old color with a similar color or not, you need to apply primer. This causes the paint to adhere much more strongly. Proper Primer Type: There are two types of primer: oil and latex, also called water-based. If your existing paint is oil-based, you can use oil or latex coatings above it. Because oil needs to penetrate deeply to dry and latex forms an impermeable barrier, you can’t put oil over latex. Primers by Material: If you’ve got aluminum siding, know that latex primer and paint cause a chemical reaction that makes bubbles in the coating. This leads to your paint flaking off. If you’re painting aluminum, you should use an oil primer. After it’s dry you can top it with whichever type of paint you like. Starting Fresh: You have to get rid of any chipping, peeling, or flaking sections. IF you paint over them, they’re just going to bubble or peel away quickly. To make this job go faster, pressure wash all over the sections where you plan to paint. If you’re working with aluminum or vinyl siding, it’s a good idea to just take the paint down to the bare siding to ensure maximum adhesion. Painting you can do for yourself. Replacing siding? Not so much. 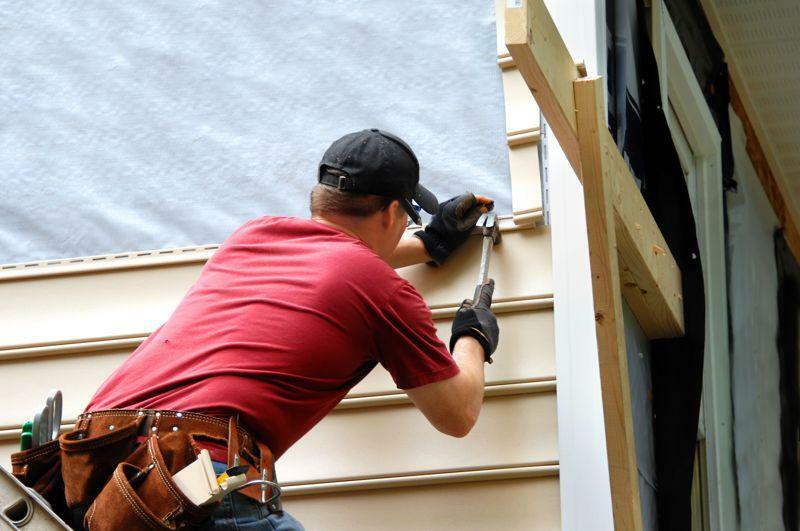 Siding replacement is a tough job, and it requires a lot of attention to detail. If you do it wrong, you’re going to end up with siding that peels up from the frame of your house. This leaves gaps where water or pests such as rats and bugs can get in. After installation, there are other steps to take, including sealing any interior corner cracks and capping the exterior corners. Whom do you call when you need your siding replaced? If you’re the Portland Metro or surrounding regions, EvoSiding is your best bet. We’ve been in business since 2012, and in that time we changed the nature of the siding business in the area. Our team is full of dedicated, skilled professionals who do their best to get your job done on time and within the established budget. We’re also very respectful, and we leave your home looking better than it was before we started. We offer a 100 percent customer satisfaction guarantee, so there’s no risk to you. Our team works with wood, vinyl and Hardiplank siding, and can help you arrive at the right choice for your home if you’re having trouble deciding. Best of all, we also do roofs, doors, windows and more. If you’ve got a project that involves your home exterior, you can get it all done from just one team. We explain everything in plain language so you know exactly what you’re getting. Don’t let your dream home get away from you. Give us a phone call or fill out the handy contact form on our site to set up a free consultation.